Founded in 1907, the German based SAMSON GROUP manufactures and supplies control valves, accessories, service and solutions to the industrial process industry. From the start, SAMSON has led the industry in valve technology with new innovative designs that reduce total cost of ownership. 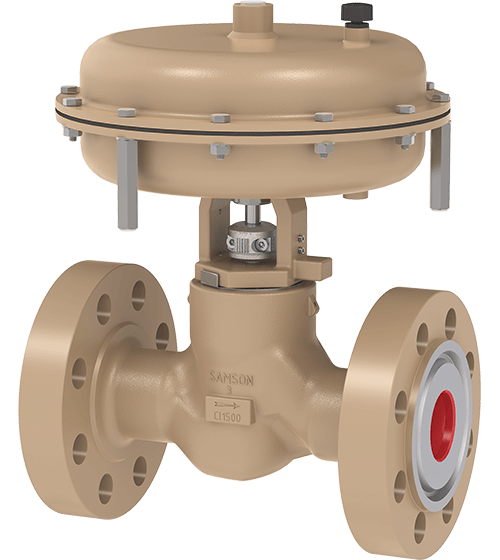 Through growth, innovation and acquisition, the SAMSON Group now supplies a full range of valve products to the chemical, food and beverage, life science, power and petroleum industries. With over 50 independent subsidiaries worldwide and over 3800 highly skilled employees, SAMSON is on hand to provide a truly global local customer service.